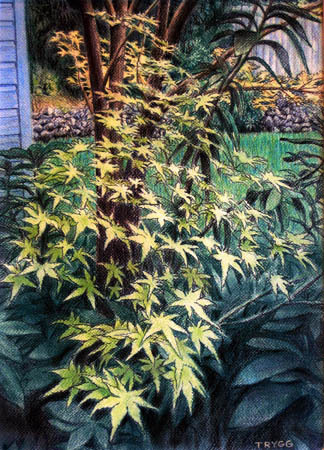 Pastel of a blooming maple tree on Forest Street in Ashland. Images of springtime in Ashland are included in a collection of new pastel landscapes by Ashland artist Leif Trygg. Oak Street Studio will also have a print and card sale during the month of April. ←Previous Post: New Work and Guest Student Artists!